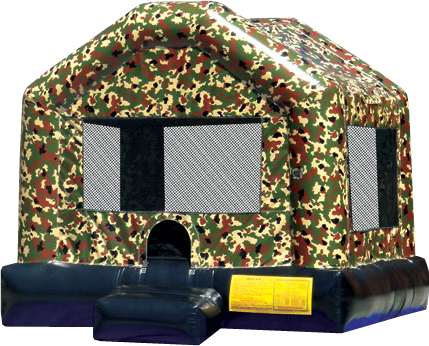 The Military House FunJump has its camoflauge print for you to blend in with your surroundings and jump at the same time. What's more fun than being basically invisible while jumping? The weight limit for this jump is 500lbs. This rental's based price is for 6 hours. If additional rental time is needed we do offer overnight rental which is 25% extra.